Robust and easy to clean polypropylene vacuum. Use for wet & dry vacuuming without removing filter. On board accessory storage. Blow function for dislodging debris. Air flow slide control on handle. Complete with 4m cable, washable wet & dry P.E.T. cartridge filter, paper dust bag (replacement bags are fleece filter), 1.9m x 36mm diameter suction hose, dual clip wet & dry floor nozzle, crevice tool and 2 x 500mm plastic extension tubes. 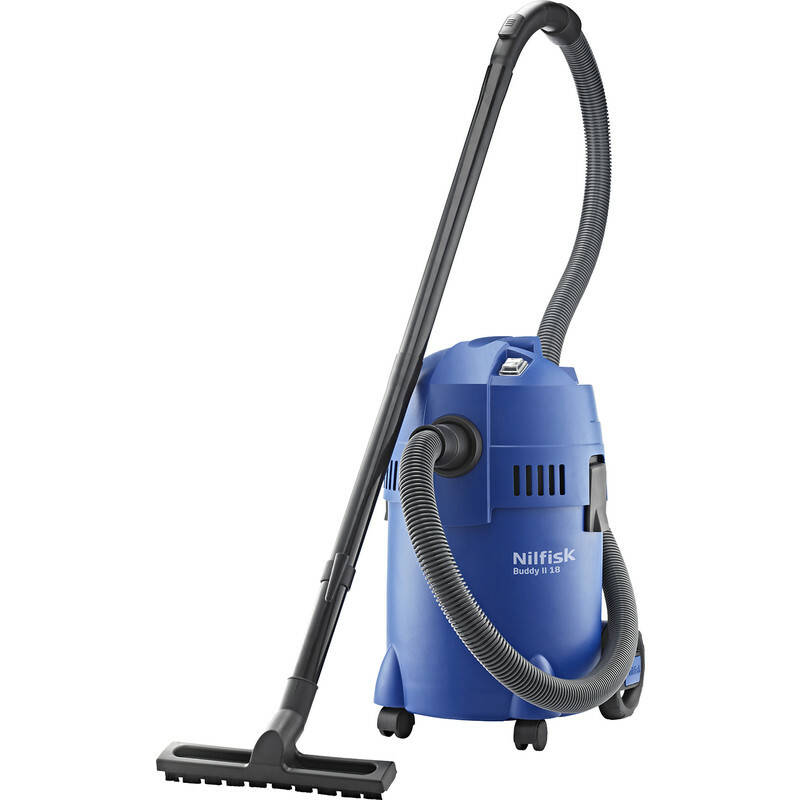 Nilfisk Buddy II 18L Wet & Dry Vacuum Cleaner 240V is rated 5.0 out of 5 by 1.